Looking at the secondary market, Standing-Room Only tickets for Game 6 currently start at $102 while seated tickets start just 13% higher at $116. Should the series advance to Game 7, the cheapest seat is currently listed at $181. For Yankees fans looking to potentially see a Pennant clincher, Priceline.com lists round-trip flights from NYC to Houston still available from $343 while Houston-area hotels can be booked for as low as $54 per night. 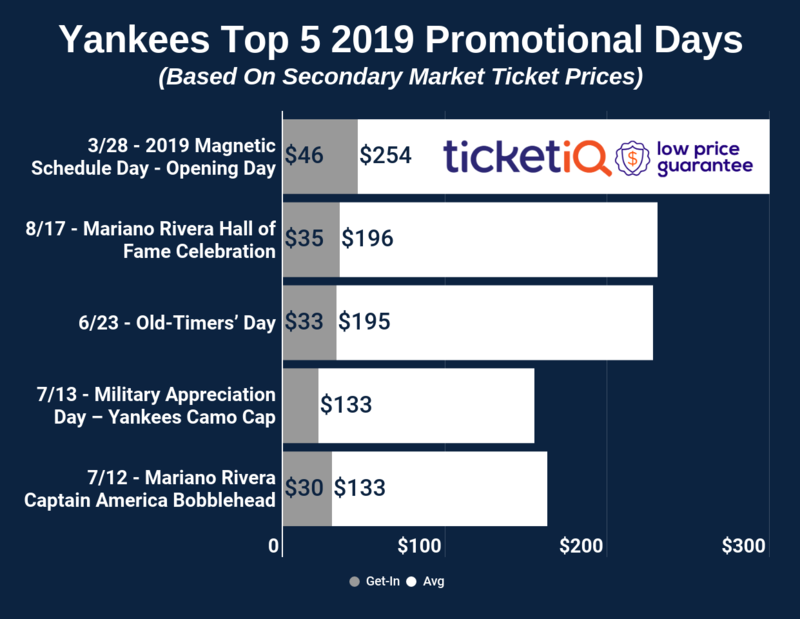 If the Yankees advance to the World Series, the cheapest ticket is currently $632. 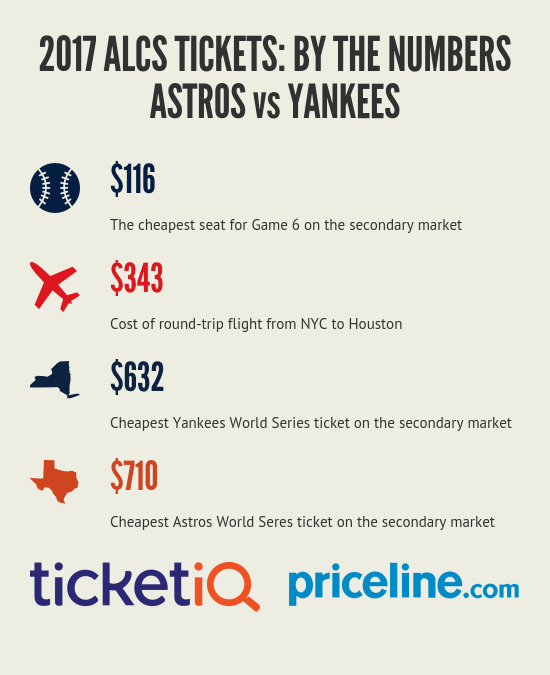 Should the Astros advance, cheapest ticket is $710.